On Sunday 05-03-2015 at 9:17 AM, Lapeer County Sheriff’s Deputies responded to the Hickory Place Car Wash located in the 5000 block of N. Lapeer Road in Columbiaville (Lapeer County’s Deerfield Township) for a burglary discovered by the owner. The business is a 24 hours self-serve car wash. It was determined that on Saturday 05-02-2015 between hours of 10 PM and 11 PM, the power was disconnected from the building. The office was accessed through the roof. A quantity of change currency was stolen from the office area. 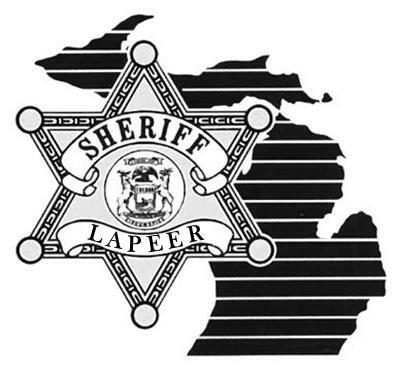 The Lapeer County Sheriff’s Office utilized communication networks with law enforcement agencies, financial institutions, and retail establishments to disseminated information about change currency being stolen. On Wednesday 05-06-2015, the Lapeer County Bank and Trust contacted the Lapeer County Sheriff’s Office regarding Jorge Ortiz age 34 from Columbiaville visiting their branches with a large amount of change currency requesting to exchange it for paper currency. Lapeer County Sheriff’s Deputies visited Ortiz’s residence in Columbiaville (within immediate area of the Hickory Place Car Wash) on Wednesday 05-06-2015 during the late afternoon hours. It was determined that Ortiz was previously residing in Mount Morris until moving to Columbiaville a few weeks ago. Lapeer County Sheriff’s Deputies located evidence and suspected illegal narcotics during this visit that resulted in Ortiz being taken into custody immediately and lodged in the Lapeer County Jail. 05-07-2015 during the afternoon hours and remains incarcerated in the Lapeer County Jail on a $100,000 bond. Next court appearance is scheduled on 05-14-2015. Ortiz is on probation in Genesee County for burglary and probation violations are being sought.